There is nothing better than fresh herbs from your garden. They are useful for cooking, they smell heavenly and they look so beautiful. Many of us think that having such a garden will require a tons of work. Some have tried such gardens before, only to be defeated by weather and bugs. 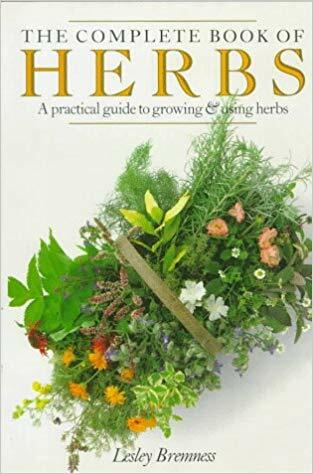 The good news is that anyone with an area that has a few hours of sunlight and a couple of minutes each week will have what they need to grow an attractive and useful kitchen herb garden. I have grown herbs in garden beds and in containers for decades years in my organic garden. Herbs are typically easy to grow and they can look stunning in the landscape, even if we never use them for cooking. Growing herbs in a garden bed offers an nearly unlimited potential for an abundance of herbs, but it comes with a burden of several things. Garden beds have to be developed and maintained. At a minimum, the soil has to be loosened and amended each year. The bed has to have the right conditions for retaining moisture without becoming overwhelmed with our rains each year. It also has to have the right sunlight conditions for the type of plants we want to grow. Then there is the consideration of voracious insects. Garden beds are probably the worst for the greatest threat to an herb garden, which is snails and slugs. Container gardens make gardening much simpler. First of all, the amount of labor necessary for making the container right is very reduced. 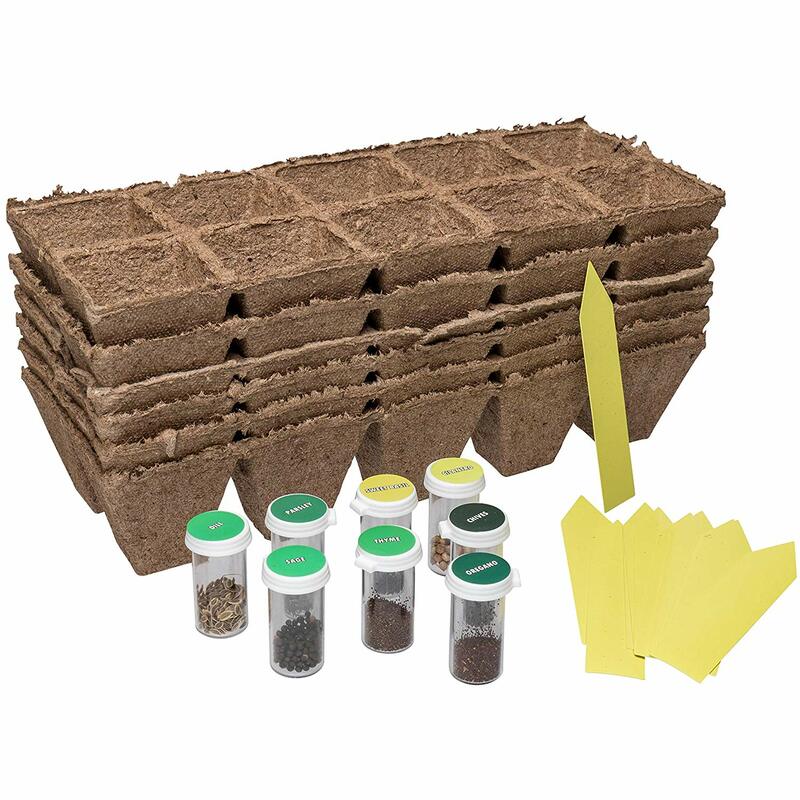 The amount of soil you have to work with is literally that which fits inside the container. Keeping a container at the right moisture level is a matter of consistent appropriate watering. 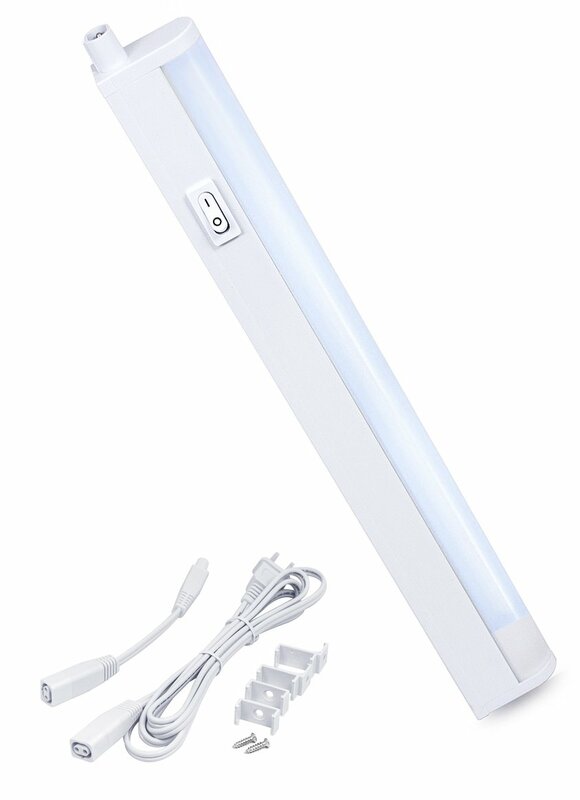 Getting a container the right lighting conditions is about placement, which can be changed each week or even each day. The container can even be placed in a sunny interior window. 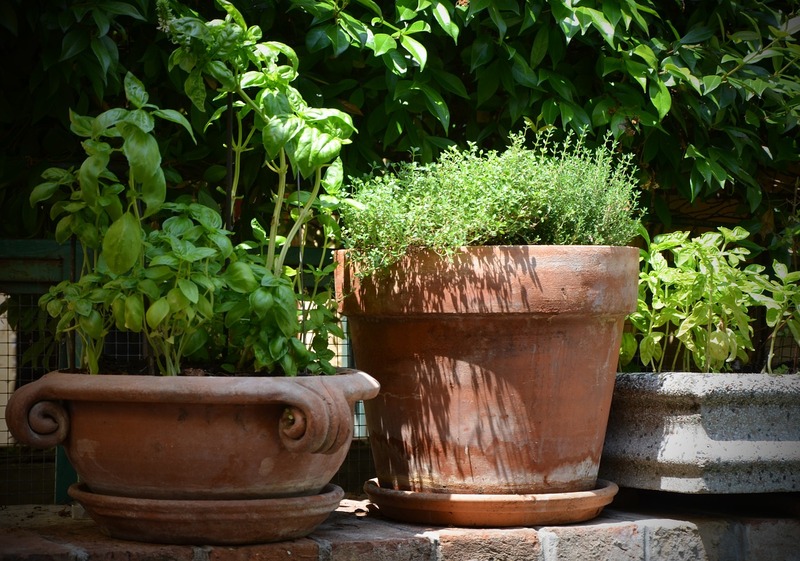 As far as insects, although they can still threaten a container garden, the soil borne pests are very much reduced and you can make things even harden on those voracious insects by elevating your pots away from the ground. You should choose a container that will hold at least a days supply of water for you plant. Containers that are too small can limit root growth. Containers that are too large can make it a problem for you if you want to move them. The size of the container is also a consideration based on how many plants you grow in them. A container for a single plant does not have to be as large as a container for multiple plants. In order to know the best size for your container you also must consider what it is you intend to grow. Some plant are larger or have a more sprawling habit or have deeper roots. Some plants will need support with a pole or trellis. Also, if you intend to combine plants into a single container you must consider their light and water needs. Plants with completely different needs do best in separate containers. Rectangular planters are great for a window area or against a balcony. 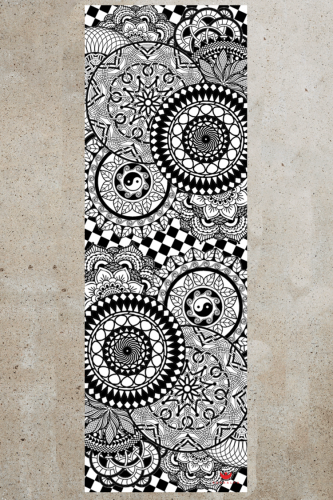 These come in various lengths but most of them are relatively shallow. Round pots are easy to find. Choose a 10 - 12 inch pot for one to three plants. A 16 inch pot or larger is best for three or more plants. Do not use a pot smaller than 8 inches because there will not be enough room for the roots. 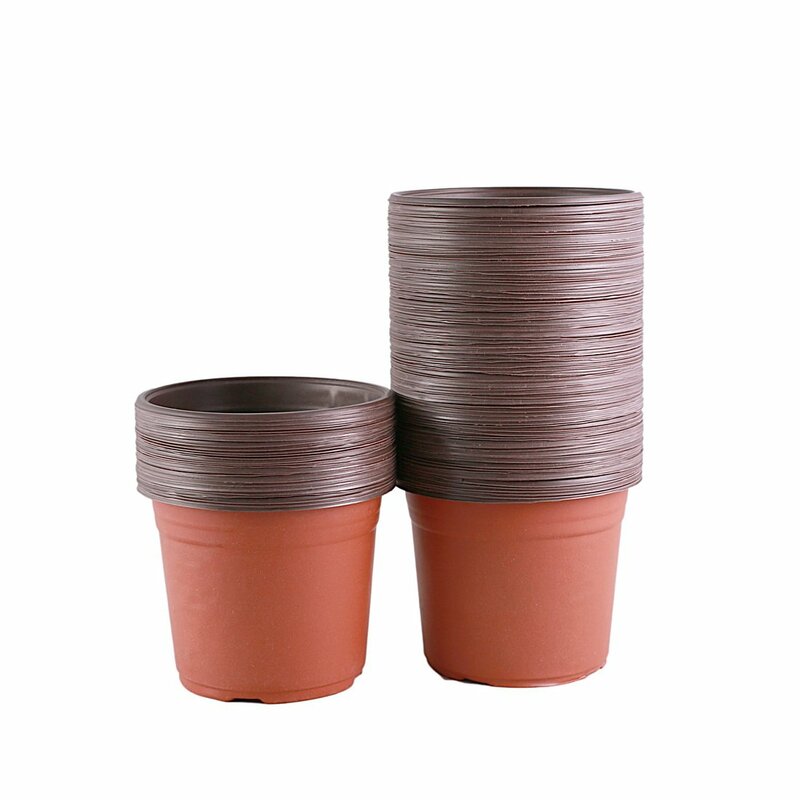 These are a classic choice and the terracotta tan color looks great with green foliage. 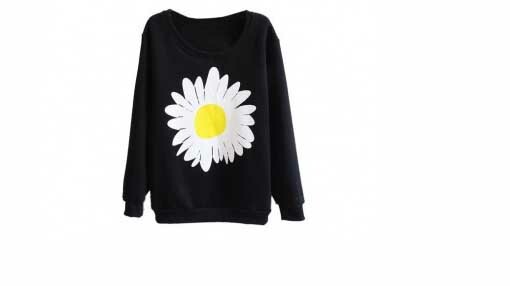 They come in various sizes and shapes. A benefit is that they are porous and will help to prevent a plant from being over watered. Some drawbacks are that they are relatively heavy and their porous nature makes it necessary to water them more frequently. 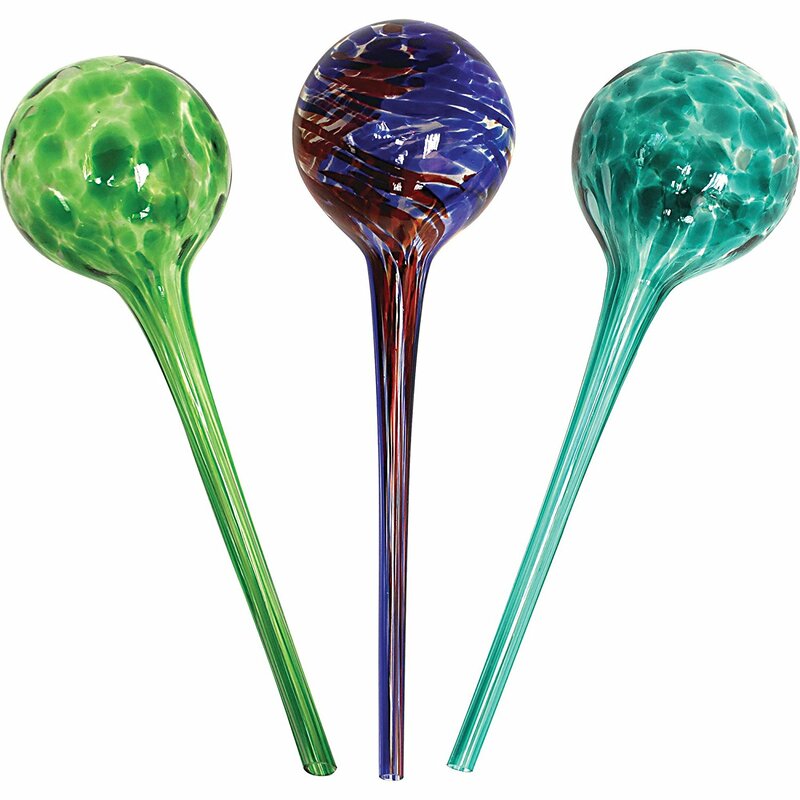 These are glazed and come in a variety of shapes and colors. 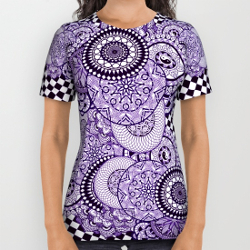 Some are highly decorative. Their glaze makes them non-porous which is better for plants that need more moisture. 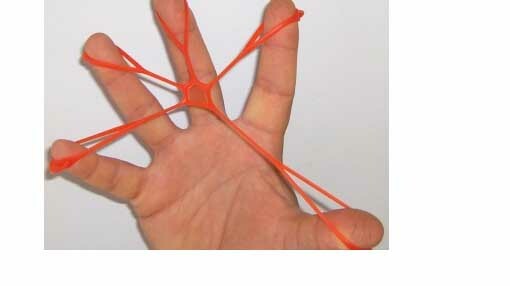 Some drawbacks are that they are somewhat heavy and they are fragile. 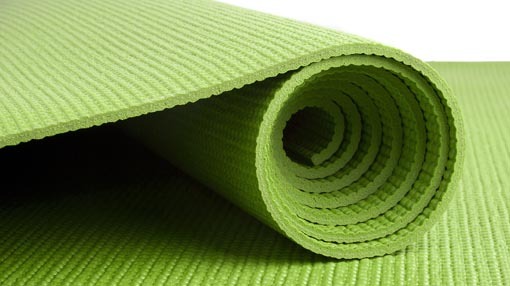 There are a wide variety of plastic post in many shapes, sizes and colors. 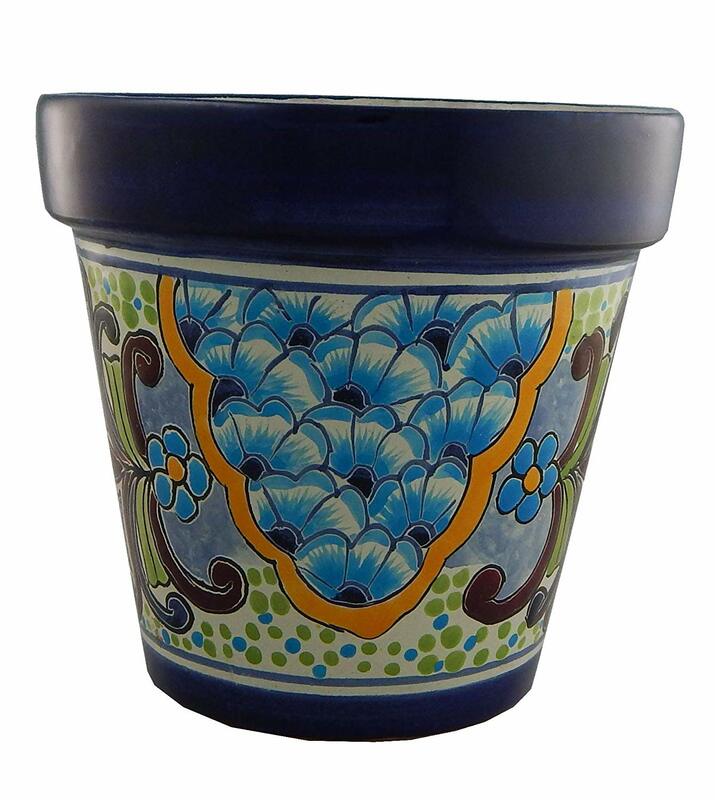 Some are very plain but others can mimic the look of ceramic or clay pots. 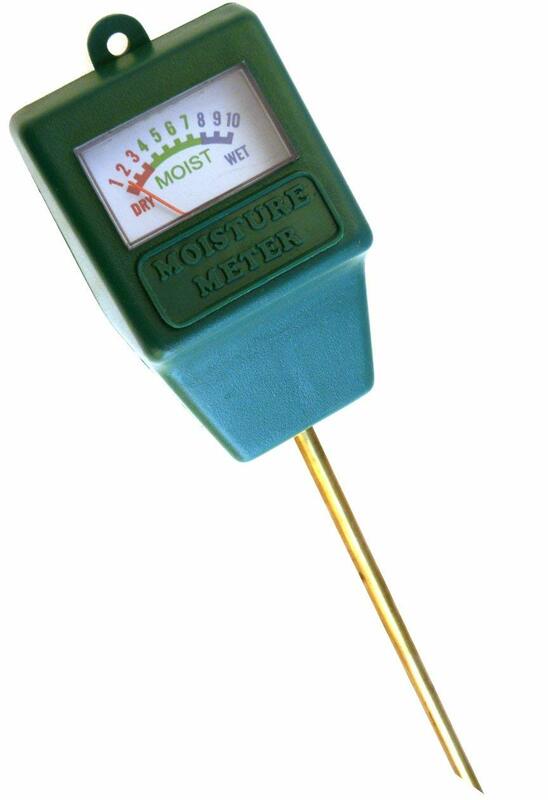 They are non-porous and will help a plant that needs more moisture. They are lightweight and non-breakable. One drawback is they may deteriorate in high heat or sun conditions which can cause the plastic to become misshaped, crack or crumble. In general, avoid choosing a pot that is very shallow. Most plants will need 8 - 10 inches of pot depth. 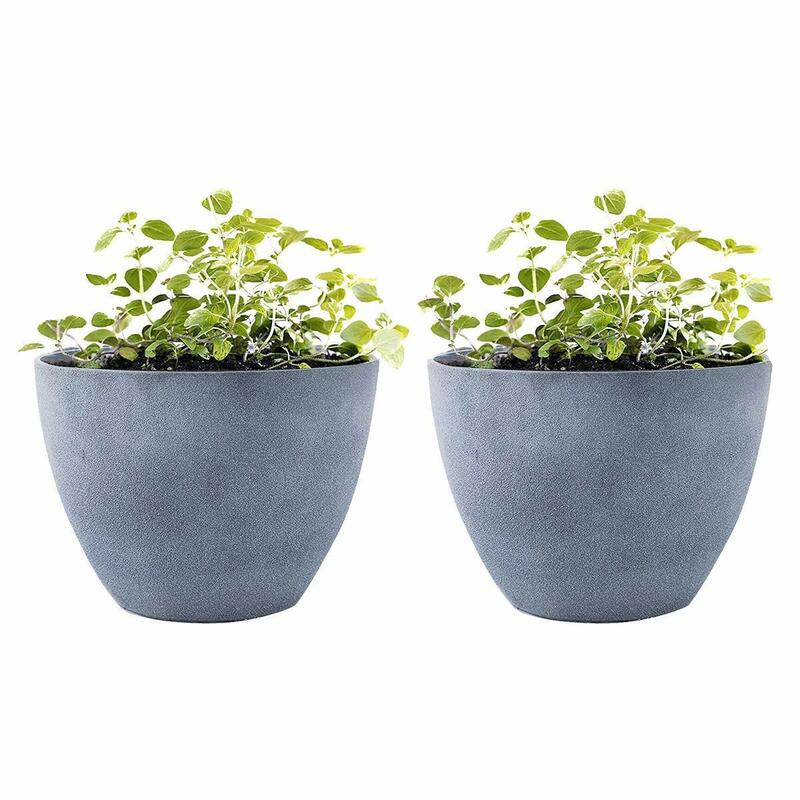 Some plants like thyme can handle a shallow container but a general rule of thumb is that the taller the plant, the deeper the roots. The pot must have adequate drainage. Make sure the pot drains well so that your plants roots are not left sitting in water-logged soil. 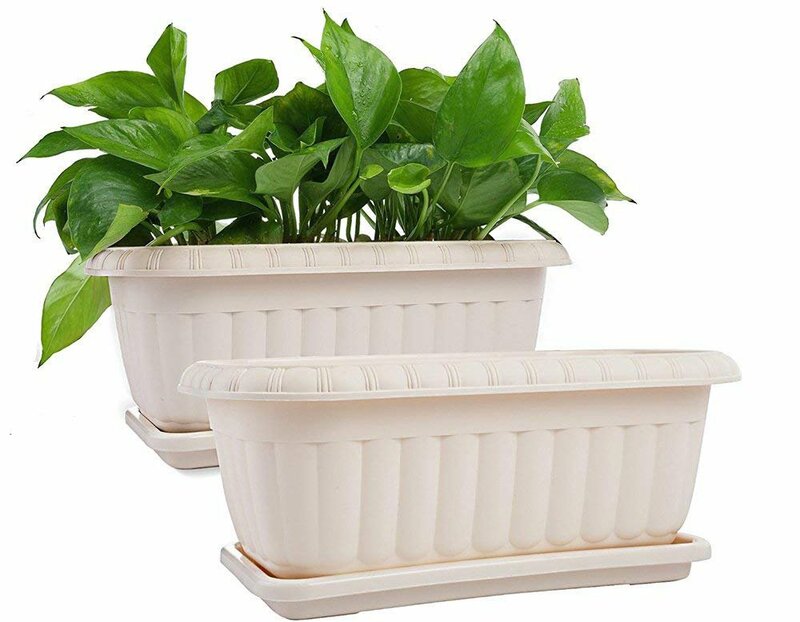 Trays are helpful under a pot to catch excess water, but make sure the plant does not sit in a water filled tray. 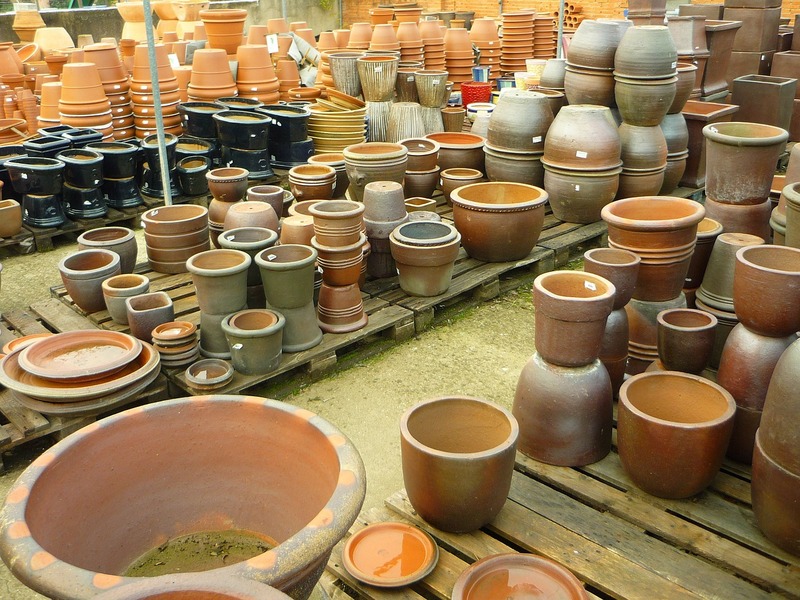 Clay pots dry out quickly. Make sure to water the pot daily or twice daily in hot weather. Press your fingers into the soil and if it feels dry, go ahead and water the plant. This is especially important for shallow rooted plants. Remember, the starting size of the plant is in most cases much smaller than the final size. If a plant starts to outgrow its pot, its growth will be stunted and it may suffer from being too dry. The biggest mistake some people make in container gardening is choosing the wrong soil. I have to admit, I too have been very bad at choosing soil. The worst mistake I made was choosing to dig some soil out of a flower bed to place in my flower pots. That lead to a very compact container and plants that did the opposite of thrive. What I have learned in my decades of organic gardening in both beds and containers is that the container is more susceptible to bad soil than the garden bed. 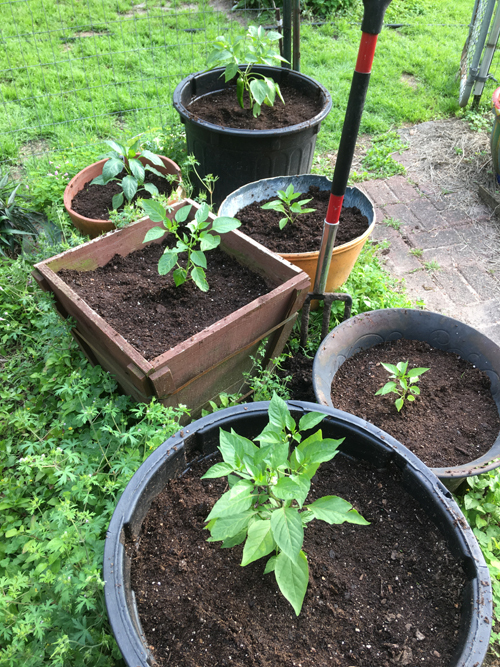 If you don't have the right soil in your container your plants are doomed. They cannot get their nutrients from any other source. If the soil dries out too quickly, your plants will wither and if it holds too much moisture they will suffer over-watering and risk mold and mildew diseases. 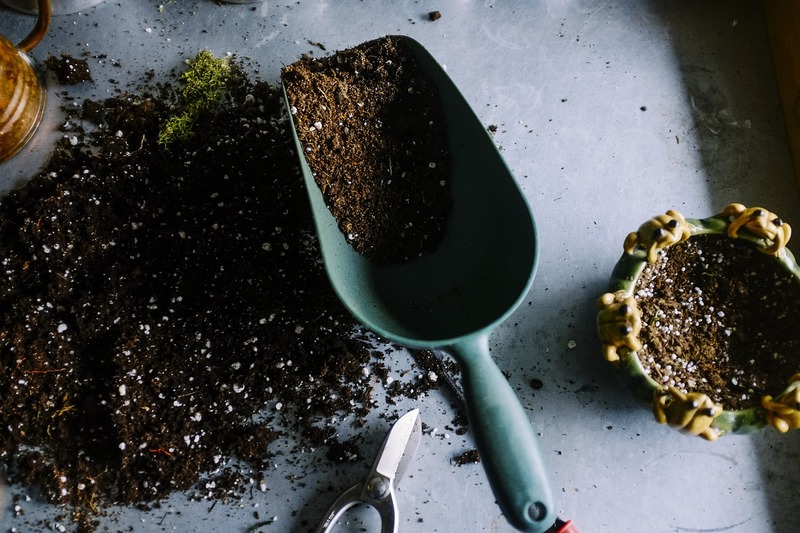 Prepackaged soils are a good alternative to just sticking your shovel into the dirt in your yard. There are many, many different types of soil on the market, so much in fact it is easy to get confused. Soil for all it looks like it just lays there, is not inactive. 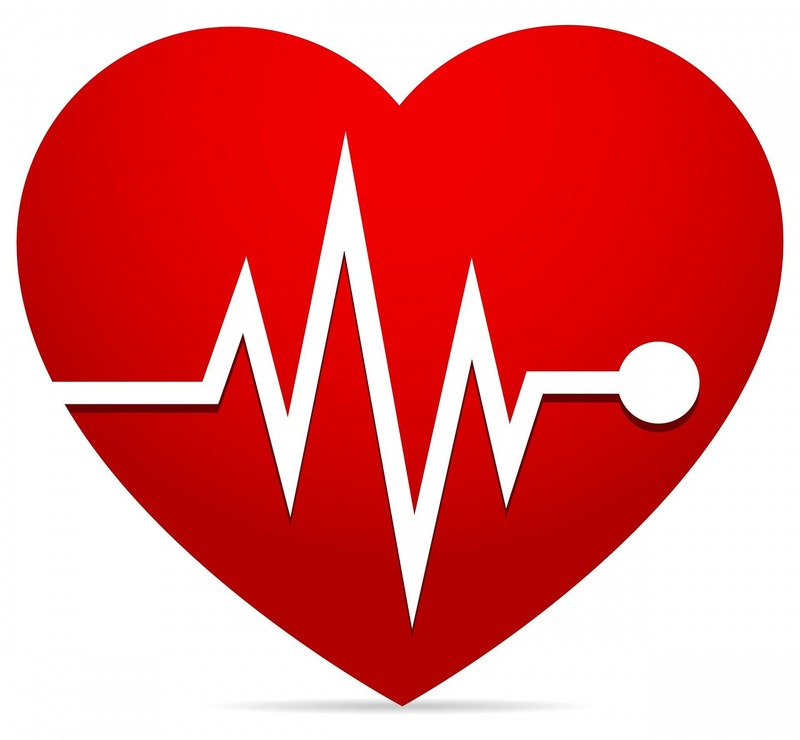 It is constantly going through a change from a starting point of using a lot of nitrogen to break itself down, to an in between point where it offers a plant maximal nutritional value, and then on to an inactive state where it is just a structure with almost no nutritional value. If we put a plant in a soil that is not broken down enough it will suffer and if we put a plant in a soil that is too broken down it will suffer. 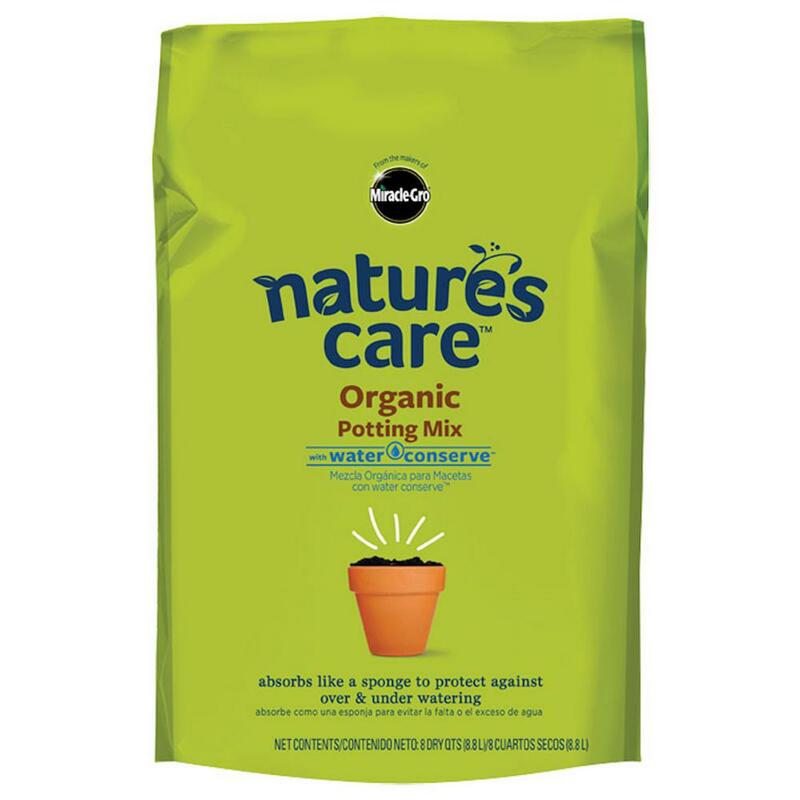 Among the many types of potting soils on the market, some may seem ideal since they tout having fertilizer mixed in the soil. However, the timed-release fertilizer added to many commercial potting soils can disrupt the blooming cycle of some plants. My theory is they add these fertilizers to mask wood and bark material that's not fully composted in their products. Un-composted wood will pull nitrogen from the soil. One way to offset this is to add high nitrogen fertilizer. That in itself is not bad, but it's this timed-release nitrogen that interferes with the blooming-cycle of some plants. Also, as soon as the fertilizer runs out the soil becomes bankrupt of nitrogen and your plants will suffer. It may sound like it is too complicated, but luckily, great soil is available that is at that just right phase. 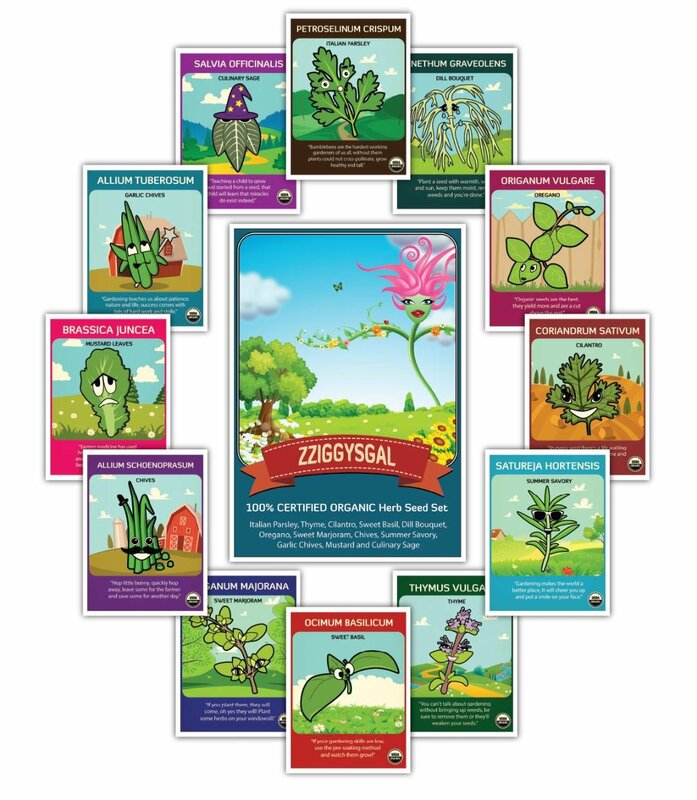 I am skeptical of big companies like Miracle Grow, which in my mind was synonymous with 'artificial' and 'chemical'. Yet, apparently they have gone after a completely different market. We spent several years experimenting with various soils and getting various results. Some soils started off seeming really great, only for our plants to crater within a few months. Some soils seemed to really help retain moisture, only to have the moisture beads, or whatever they were, to deteriorate and mold in our pots. After doing a little research we found Miracle Grow made a natural alternative and we have settled on this soil as the best for our containers. We also use it in place of seed starting soils. The soil is going to provide a lot of what your plant needs, but if you really want your plants to thrive and produce a lot of those tasty leaves for you, then you will need to up their nutrition. 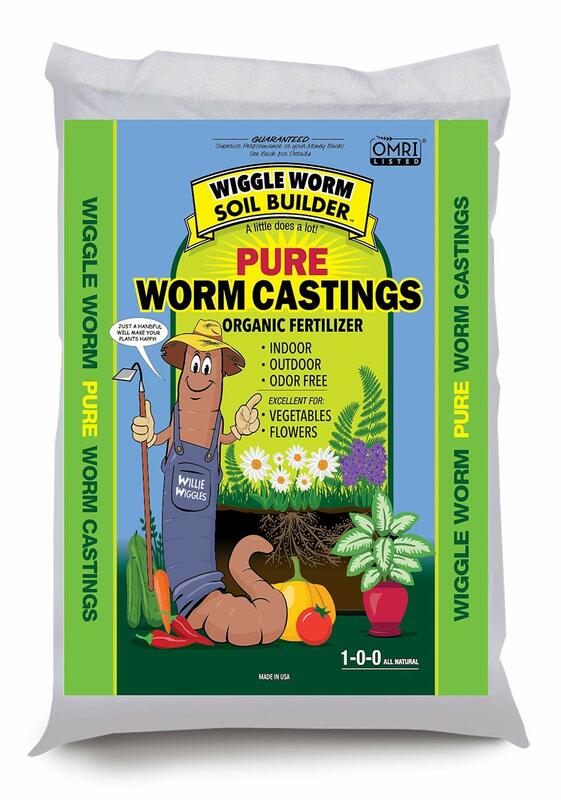 Plant nutrients can be placed in the soil when we are first planting in order to give the plants a good start. Once our plants get going, consistent light nutritional boosts can make a huge difference in plant growth. Of course since we are going to be eating the leaves of our plants, we will want to make sure that all the things we use on the plants are as healthy for us as they are for the plants. So, for herb gardens especially the rule is organic only. 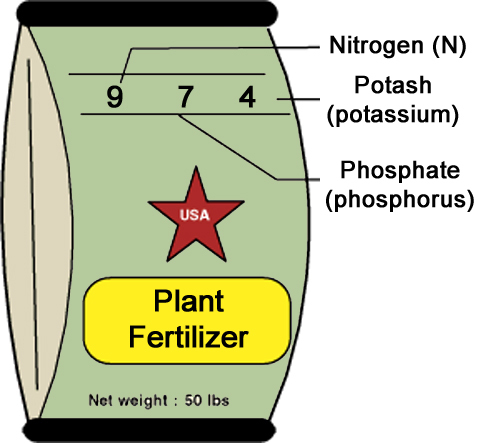 The major nutrients of plants are nitrogen, phosphorus, and potassium. When reading a fertilizer bag, the first number is the nitrogen, the second is phosphate which provides the phosphorus and the third is potash which provides the potassium. 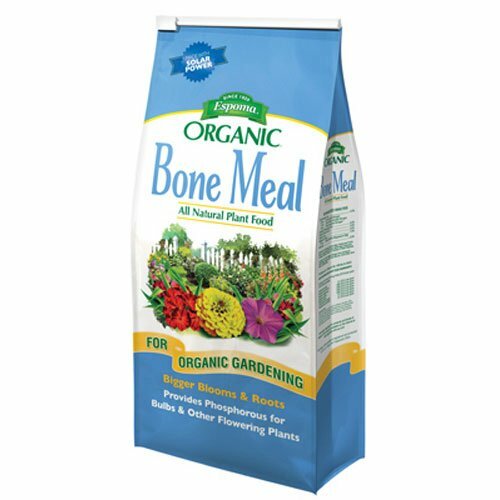 Bone Meal - Apply when first planting. Supplies needed phosphorus for growth. Very important for flowering or fruiting plants. Whey or Kombucha - Use diluted at least 50% with water. Helps to keep the soil biome active and healthy. 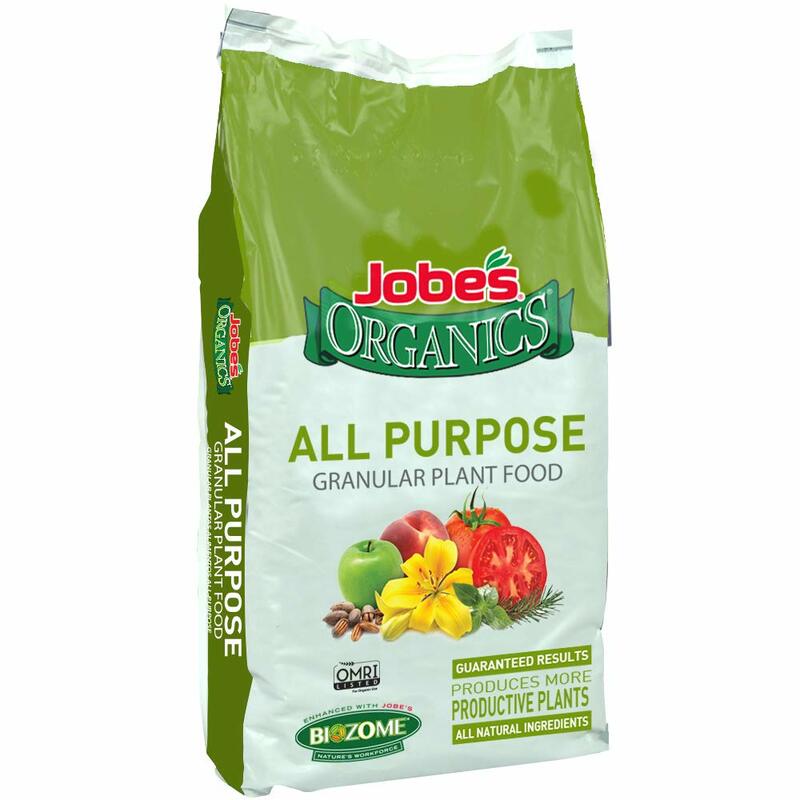 Fish meal or organic all purpose fertilizer - Sprinkle a small amount on the soil every 4 weeks. 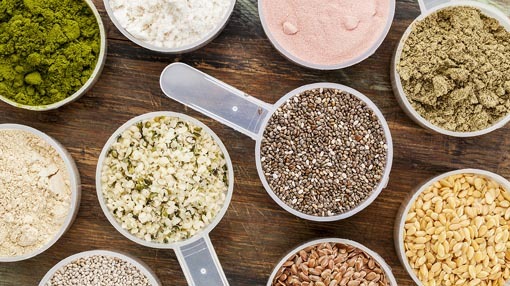 Provides nutrition needed for growth. Compost - Applied to the top of the soil it can help regulate moisture and provide nutrients to the plant as you water through it. One very important consideration to your success in growing herbs is the location you choose for your plants. Some herbs require quite a bit of light and others prefer more shade. Trying to grow a sun loving herb in a low light situation will produce a spindly and weak plant that will produce few leaves. Placing a shade loving herb in harsh sunlight can burn the leaves and kill the plant. 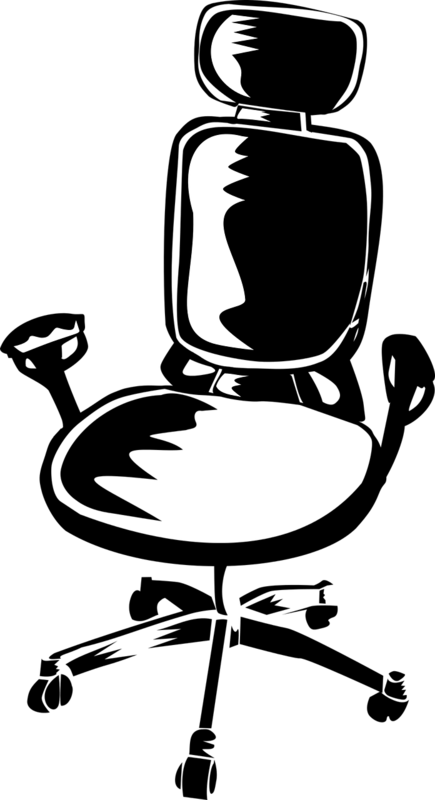 Light conditions vary based on direction. A north facing window has very different light than a south facing one. West facing windows may offer a lot of light but also they may become very hot during the summer. Another consideration is the shade provided by awnings, porch roofs and trees. Knowing the lighting conditions of where you plan on placing your herb container will help you select the best herbs for your situation. Some herbs want the soil moist and other prefer well drained soil and some even thrive with dry conditions. It is important to know the needs of your herbs so you can help them achieve their optimal growth. 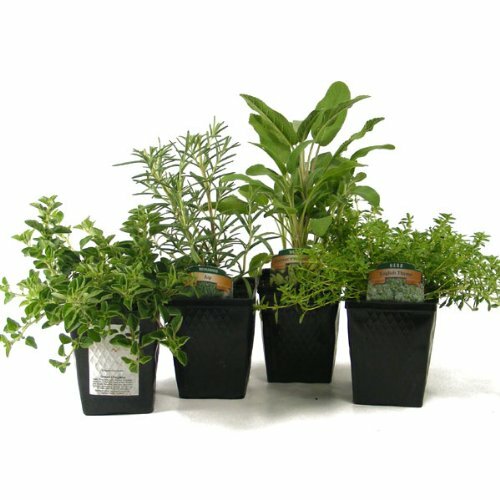 You also must consider water needs when placing several herbs into the same container. 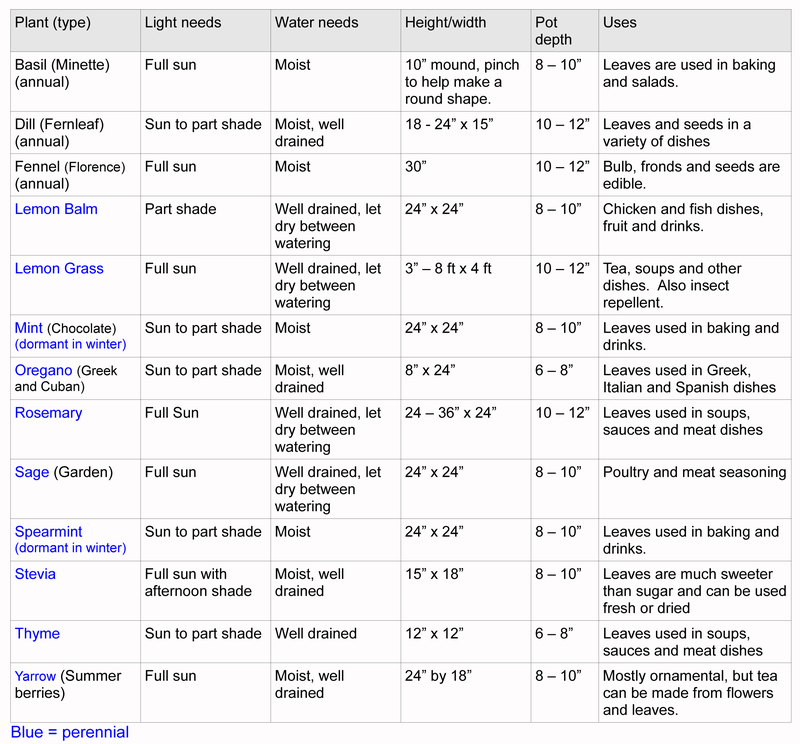 When considering groupings of plants, the light needs outweigh other considerations followed by water needs. 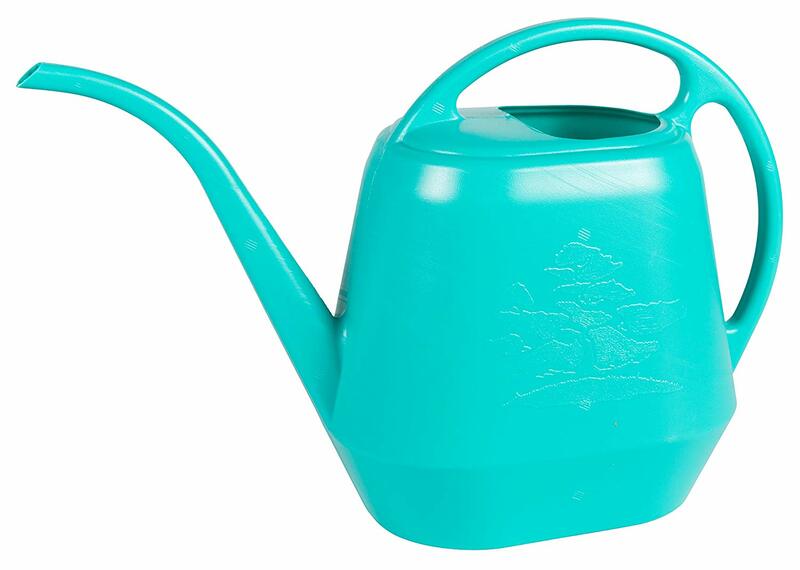 In a large enough pot, some different water needs can be maintained by spot watering the plant that needs more moisture. Be sure to consider the height of your plants so that taller plants are placed where they do not interfere with shorter plants. Some plants like mint, spearmint, oregano and thyme are low growing and look wonderful when they are allowed to drape over the edge of a pot. 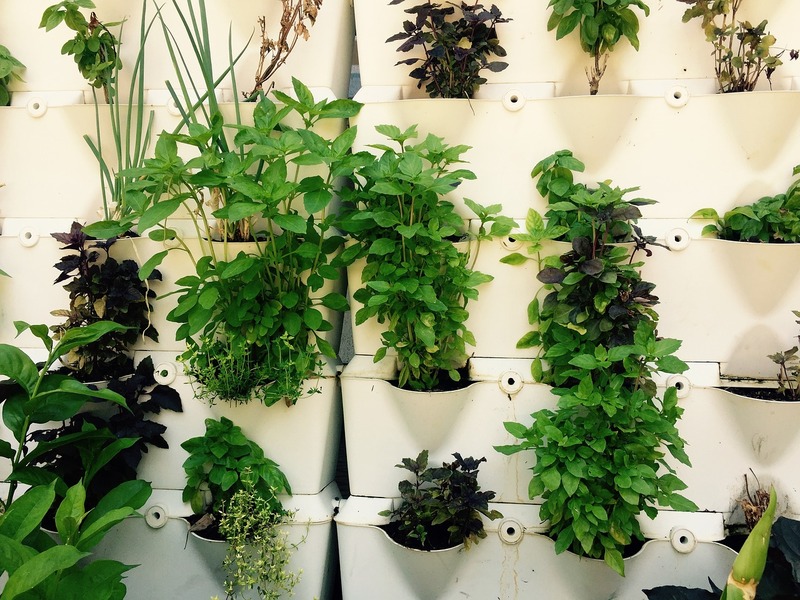 There are just a few things to keep in mind in order to grow herbs successfully. Most herbs need regular trimming to achieve their best growth. Pinching off the tops of young plants will allow the plant to create a bushier growth and more leaves to harvest. 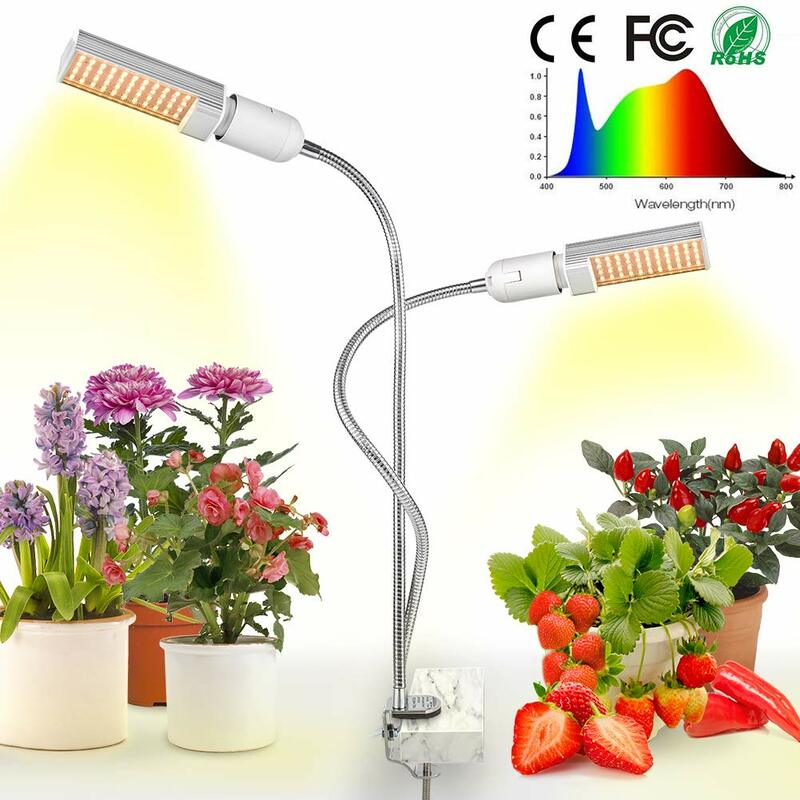 Light regular harvesting of leaves works best with most plants. Keep in mind however, the more you harvest from your plant, the greater the plants nutritional needs. The best defense is to keep the plant away from the bugs. We will protect our plants the best by getting them up off the ground. There are many attractive plant stands out there. 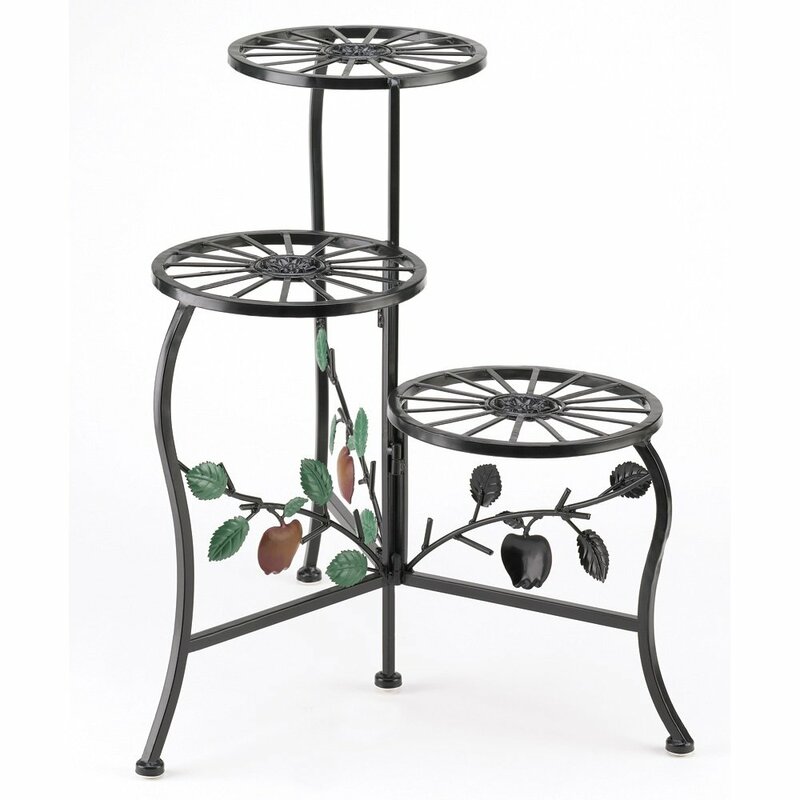 Metal plant stands are very easy to find, but another pot turned upside down might also work. If your plants are on a patio or balcony, a cinder block can be used. There are organic pest controls. The best one is removing the pest by hand or spraying the plant with a stream of water. Insects are typically going to be more active in the early morning, so observing your plant at that time can help you catch the culprit. 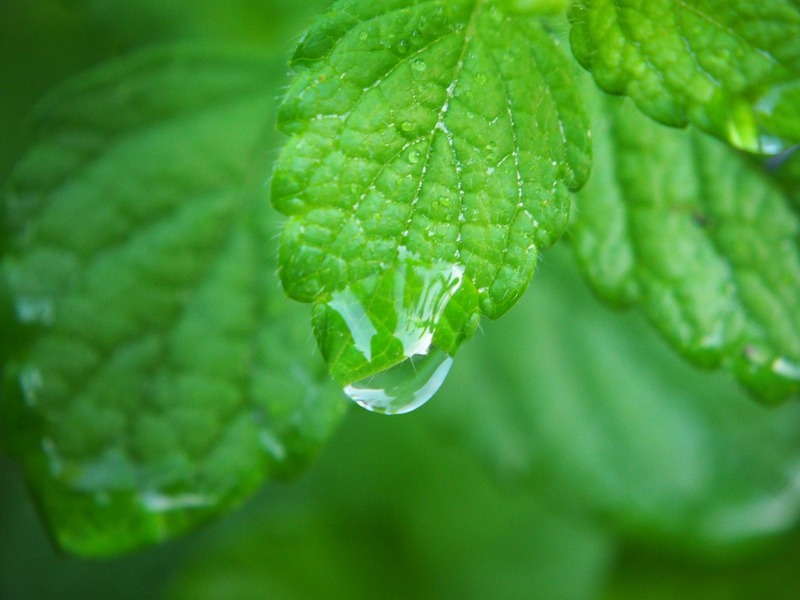 Be careful about applying anything to the leaves of your herbs because you are going to want to eat those leaves. 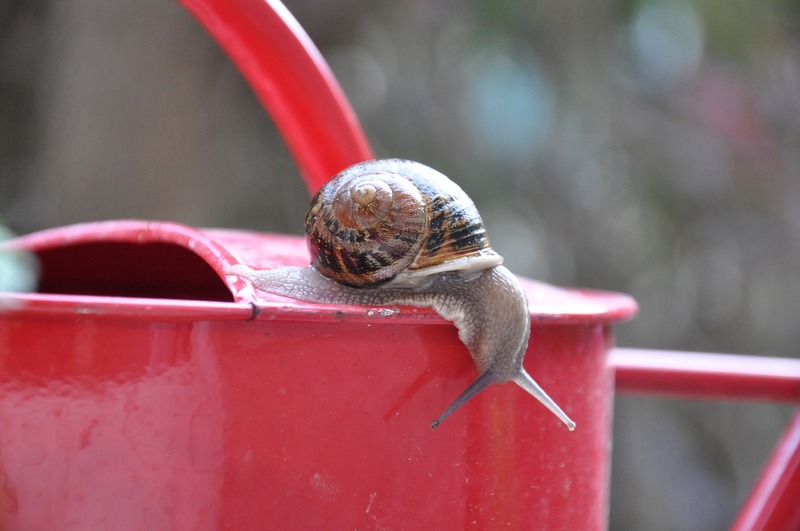 Two voracious pests that can devour your plants in no time are snails and slugs. Keeping your plants off the ground and looking over the pots can help you prevent these little villains from peppering your plant leaves with holes. 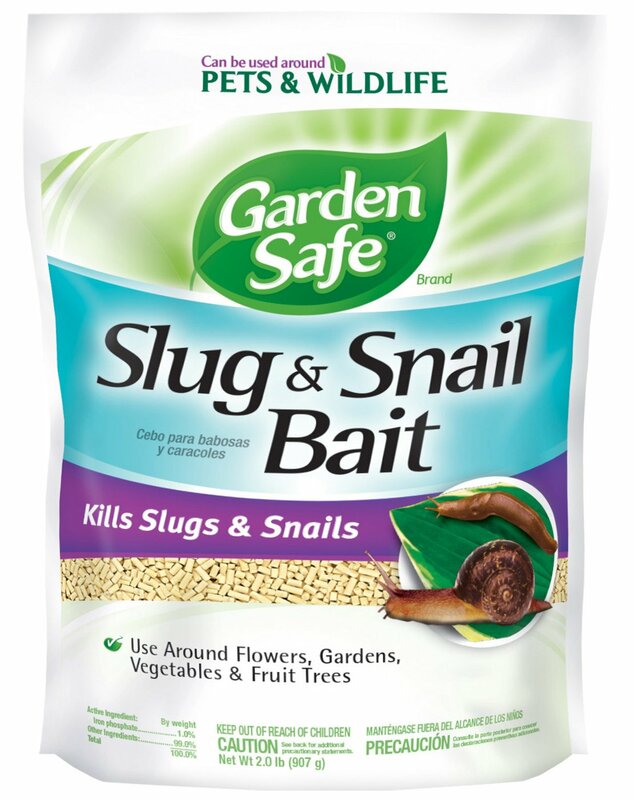 Another remedy is to apply snail and slug bait. This is a formula of iron phosphate that these creatures love to eat. 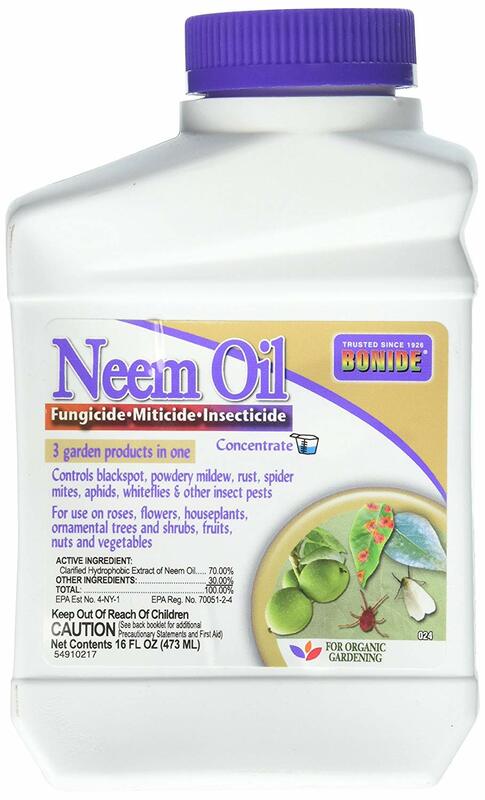 Just sprinkle this around your plant area lightly and then be sure to reapply after it rains. Animals are also a potential problem. 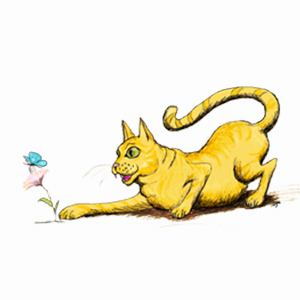 A large pot may be very attractive to a cat, so placing stones or other uncomfortable items in the pot may keep them from sitting on your plants, or worse. Dogs have been known to dig up plants or knock over pots. This is yet another reason to place your plants on some sort of stand. Luckily most animals are not interested in eating our herbs.